Film director and scriptwriter, born in Warsaw in 1948. Nominated for the Oscar in 1985 for Angry Harvest, in 1990 for Europa, Europa and 2012 for In Darkness. Her stories are founded in the human story of life and joy in the midst of tragedy and disaster, of the world of man under the hand of God and all the unexpected pains and pleasures of existence. After graduating from FAMU, the Prague film school in 1971, Holland returned to Poland to work as an assistant director on Krzysztof Zanussi's Illumination and later, on Stanisław Latałło's Letters from our Readers. She also worked with Andrzej Wajda and his X Film Studio. She wrote several scripts with Wajda before directing her own films, which were soon winning awards at festivals. She soon gained notoriety as part of the Polish New Wave. She has gained worldwide renown for such films as Angry Harvest (nominated for the Oscar in 1985) Europa, Europa, Olivier, Olivier and The Secret Garden and Washington Square. She began with television productions, with her debut An Evening at Abdon's (1975) and she continued to return to television at different points in her career, most notably directing several episodes of the hit HBO series The Wire between 2004-2008. Her first feature film was Aktorzy prowincjonalni (Provincial Actors,1978), one of the flagship pictures of the 'cinema of moral anxiety' and the winner of the International Critics Prize at the Cannes Film Festival in 1980. Earlier in her career, she directed theatre plays, sometimes with her husband, Laco Adamik. Holland soon abandoned the poetic, somewhat surrealist style of her early films, such as Hrích boha (God's Sin, 1970), Wieczór u Abdona (Evening at Abdon's, 1975) in favour of an approach strongly influenced by Czech cinema with its ironic, yet warm treatment of the protagonist, its special realism reminiscent of documentaries (especially evident in Pictures from Life: A Girl and Aquarius, 1975) and Sunday Children, 1977), its respect for detail comparable to cinéma-vérité, and its unhurried plot. Indeed, Holland admits to being enchanted with the 'mundane metaphysics' of Czech cinema and to being fascinated by Evald Schorm's documentaries and Jiri Nemec's feature films. Similarly, her Screen Tests (1976) was obviously influenced by Milos Forman's Talent Competition. Holland's 1980 film, Fever (1980) was a success, but A Lonely Woman (1981), made a year later and critical of Poland's predicament, was banned by the authorities and could be viewed only at private and semi-private shows using illegal copies. When martial law was declared in 1981, Holland decided to emigrate to France, and her subsequent films were made abroad. Indeed, A Lonely Woman, the last film she made before emigrating, ended a period of artistic enquiry. Until then, her films had served as a 'mirror' reflecting the key issues of the part of Europe whose culture and realities had shaped her, wrote Mariola Jankun-Dopartowa in 'Agnieszka Holland's Bitter Cinema' (2000). Holland's later, émigré works used other means of expression and a different film language. Her films, to quote another researcher of her work, Sławomir Bobowski, became more 'attractive in terms of plot' and, at the same time, more distant from reality: 'When there is artistic freedom, the desire to reflect the details of reality gets weaker'.While pointing to the diversity of form and subject matter in Holland's films, the quoted researchers, as well as Stanisław Zawiślański, author of Agnieszka Holland's Direction (1995), find a clear consistency in Holland's selection of topics and protagonists. In general terms, her vision is of a world in which the individual, a mere toy in the hands of an unfeeling fate or a capricious God, is struggling to give sense to his/her existence. The researchers call this trap 'Kunderian', pointing to the relationship between Holland's films and Milan Kundera's prose. Holland came to know the Czech writer when she was a student in Prague. 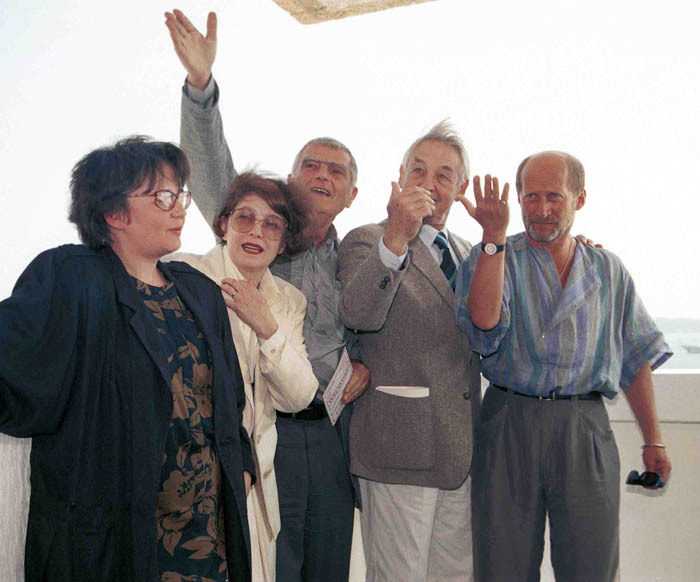 She translated The Unbearable Lightness of Being into Polish and intended to adapt The Farewell Party for the screen. 'There is no happiness, living life to the full or fulfillment for her protagonists, just as there are no such things for Kundera's protagonists', writes Bobowski. This vision of the world as a trap was already evident in Holland's poetic diploma work Hrích boha (God's Sin), and is very much present in her 'cinema of moral disquiet' films such as Screen Tests and Sunday's Children, becoming yet more marked in Provincial Actors. While the latter is a clear polemic against the authorities of the time and the communist propaganda's vision of reality - a trait shared with other films of 'moral disquiet' - the film has lost none of its relevance thanks to its universal approach to existential issues. This bitter tone combined with the vision of the world as a trap can also be found in Fever, and even more noticeably in Lonely Woman. Holland's post-emigration films made in the West perpetuate this vision, the director continuing to portray people looking for ways out, striving for self-fulfillment, pursuing happiness and failing or being forced to settle for a dubious compromise, as seen in Washington Square (1997), or a very costly one, as witnessed in perhaps her best-known film, Europa Europa (1990), which received an Academy Award nomination for best screenplay. (Holland had also received an Academy Award nomination in 1985, for best foreign language film, for Angry Harvest (1985). Both films deal with the painful subject of the Holocaust, as does her 2012 film In Darkness, which also garnered her an Oscar nomination for Best Foreign Language Film. Angry Harvest tells the story of a Jewish family that jumps from a train in order to escape a brutal fate and gets separated in the wood. The wife is saved by a local peasant who hides her in his cellar and hides his knowledge of her husband's whereabouts. Rosa offers herself to him if he helps another fellow Jew in hiding, which leads to both a glimmer of happiness and also tragedy. Europa, Europa tells the story of a young Polish man who joins the Hitler youth to disguise his identity and lives in constant fear of being found out. The emotional impact and visionary cinematography on these films gained her international renown. In the 1990s Holland began working with Krzysztof Kieślowski on the screenplay of his film, Three Colours: Blue (1993). Throughout her work, Holland persists with her psychological insights and existential parables, asking - to use her own reference - 'a Gombrowicz-like question': how much we are what we are and how much we exist only through the eyes of others. Holland's later films reveal a fascination with the metaphysical, alongside her unflagging interest in the existential dimension of life. She first displayed what critics have called the 'metaphysical touch' in the film, Olivier Olivier (1992) and The Third Miracle (1999), while Julie Walking Home (2002). She explores religious attitudes and supernatural, rationally inexplicable phenomena. These interests were also evident when she directed Szymon Ansky's The Dybbuk for the Polish TV theatre. Holland's new film language, her new style of talking about reality, had clearly turned towards popular cinema. Polish audiences were taken by surprise by her feature To Kill a Priest (1988). The story, set in Poland during martial law, recounts the notorious assassination of Father Jerzy Popieluszko, but Holland's depiction of Polish society and the psychological analyses of the protagonists were regarded by some critics as clichés derivative of 'thriller poetics'. This view is not shared by Mariola Jankun-Dopartowa, who believes that the kitsch-like artificiality of the film is intentional and that there are two layers in To Kill a Priest: one a gloomy psychological drama, the other an analysis of how political and religious kitsch is born. Holland's subsequent films, such as Total Eclipse (1995), Washington Square (1997), The Third Miracle(1999), Shot in the Heart (2001), and the romantic period drama, Copying Beethoven (2006), left many critics sceptical of her populist approach. Jankun-Dopartowa, however, sees this language as the consistent articulation of an intention. She says, for instance, that while Holland uses the language of kitsch in Total Eclipse, she treats it like Kundera, for whom kitsch is an 'existential category' (a destructive one, too). What's more, she argues that 'the aesthetics of kitsch proposed by Holland in this movie achieves perfection', and should please both a mass audience and more discriminating viewers, though, admittedly, 'sometimes both are disappointed'. There is no doubt that Holland began this risky approach to reach a wider audience. She confessed in an interview for Rzeczpospolita that she wants to make 'cinema of the middle', understandable to the average spectator, yet 'with a certain scale of complexity and an intellectual message'. In 2004, Holland directed episode eight of the third season of the hugely popular HBO series, The Wire. She returned to direct two more episodes in 2006 and 2008. In 2007, together with her daughter and sister, she directed the Polish political drama, Ekipa. Holland also collaborated with her daughter Kasia Adamik on Janosik: The True Story. Production on the story of the Polish Robin Hood began in the autumn of 2002, but soon had to be suspended for lack of funding. Agnieszka Holland and her daughter were able to return to the project after six years and the film was released in 2009. The film is set in the years 1711-1713. The Slovak Juraj Janosik took part in the anti-Habsburg uprising of Francis II Rakoczi, and after it fell he was conscripted into the imperial army. When he was on guard duty, he helped Tomas Uhorcik escape from prison; allegedly the man repaid him by buying him out of the army and letting him join his band of robbers. The highland robber was remembered differently in folk tales - as an insurgent with Rakoczi and a rejected lover who went into the mountains to seek death, but rediscovered himself in the role of a robber. Persecuted by hajduk soldiers, he robbed people but didn't keep the loot for himself - on the contrary, he gave it to the poor. Agnieszka Holland and Kasia Adamik's film is a search for the golden mean. Yes, it tries to set the events in chronological order, but also stops short of stripping its main character of his romantic aura. In Václav Jiráček's interpretation Janosik is a young man (the court documents prove he was born in 1688), aware he is different - inclined to lead a life of solitude, with a different sensitivity than the people around him, contrary to the highland tradition of the time - even averse to robbery. For me, television is just a medium. It isn’t radically different from film, though it has different stylistic possibilities and limitations, but it is also something new. I started to see that in the States, well-written and well-produced television shows were becoming far more interesting than the cinema. With challenging materials from HBO, Showtime, and now, AMC, it was very natural for me to want to work on their projects. But I’m very particular. I only do one or two episodes a year, because it gives me some kind of energy, you know? I like being able to explore the realities of people and places that are not like mine, like the inner city of Baltimore or New Orleans after Katrina. In March 2010, she began filming In Darkness, a film based on Robert Marshall's heroic tale of surviving the Holocaust entitled In the Sewers of Lvov. It is a story of transformation of a human being in the face of extreme adversity and the fight for survival. Holland has described her approach to the film as straightforward and realistic - 'without exagerrated colours, using a monochromatic pallette with the camera following the characters along endless sewer canals, with countless dialogues, the darkness must remain dark, and viewers must feel as if they are there with the heroes', she declared. Any mention of movies and sewers brings to mind 'The Third Man', but Ms. Holland's brave epic could not be farther from conventional entertainment; the suspense here, derived from a true story, is excruciating and inspiring in equal measure. The hero, Soha (a perfect performance by Robert Wieckiewicz) brings Oskar Schindler to mind because he's a Gentile who decides to save Jewish lives. Otherwise, Soha's story is singular and superbly dramatic, the evolution of an obtuse anti-Semite into a guardian angel. Holland, with her gifted production team, miraculously finds the right tone, keeping us down in the sewers with all their stink, claustrophobia and vermin, suggesting what it might be like to live without light or fresh air for 14 months in constant fear of discovery and annihilation. It is not easy to watch, but it is impossible to turn away. Agnieszka Holland won Best Director for In Darkness at the Valladolid festival in Spain in late October 2011 and the film received the Golden Teeth award for most interesting feature film - the audience jury prize in Chicago, as the best foreign production, at the 23rd Polish Film Festival in America in Chicago in November 2011. It also won for Best Cinematography at Poland's Camerimage Festival, with cinematographer Jolanta Dylewska was singled out by Variety Magazine as one of 10 new names in Hollywood to watch. The film was Poland's candidate for the 2012 Academy Awards, losing out to Asghar Farhadi's A Separation. In 2012 Holland began working on another American television series, this time Fox's The Killing. The crime series is set in Seattle, set off by the killing of a young girl. Three-part series of hour-long episodes HBO Europe's 'most ambitious, big-budget project to date'. It presents the factual story of Jan Palach, a student of history and political economy at Charles University in Prague who in a protest against the military aggression of the Warsaw Pact against Czechoslovakia in 1968, committed suicide by self-immolation in January 1969. Following his death, the communist regime set out to discredit him and destroy any memory of Palach’s deed. To clear Palach's name and find out the truth, his family hired a lawyer to represent them in a trial against the communist government. 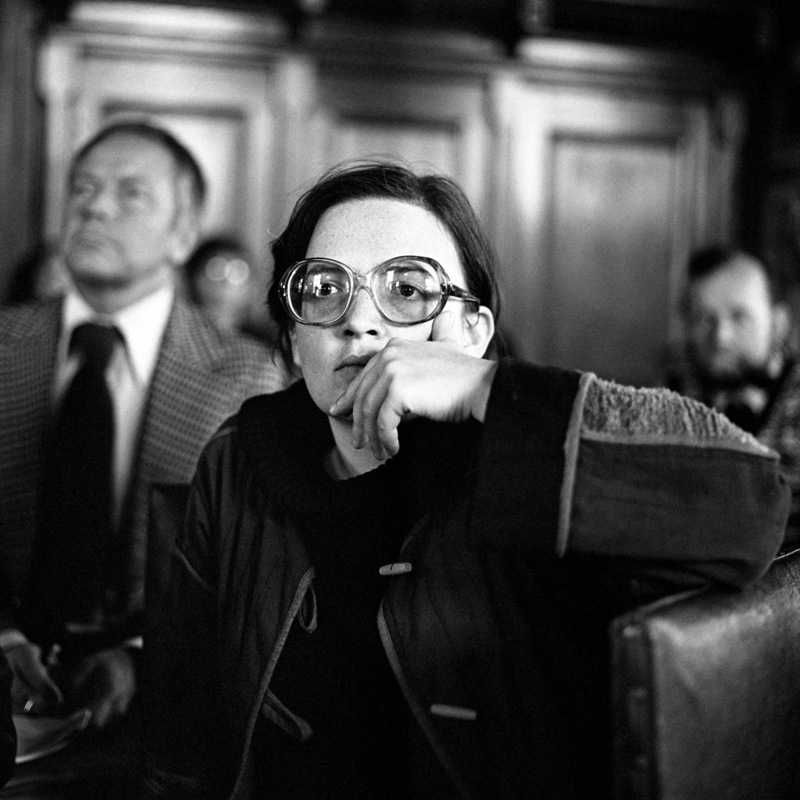 Agnieszka Holland’s protagonist is the young lawyer Dagmar Burešová, who spent her life representing dissident opposition leaders then became the first Minister of Justice in free Czechoslovakia. Holland’s film follows the legal efforts of the Palach family and their lawyer to clear his name in the face of the communist propaganda machine. His story, and that of the lawyer Burešová, is one of basic human values, truth, honour, justice and courage. 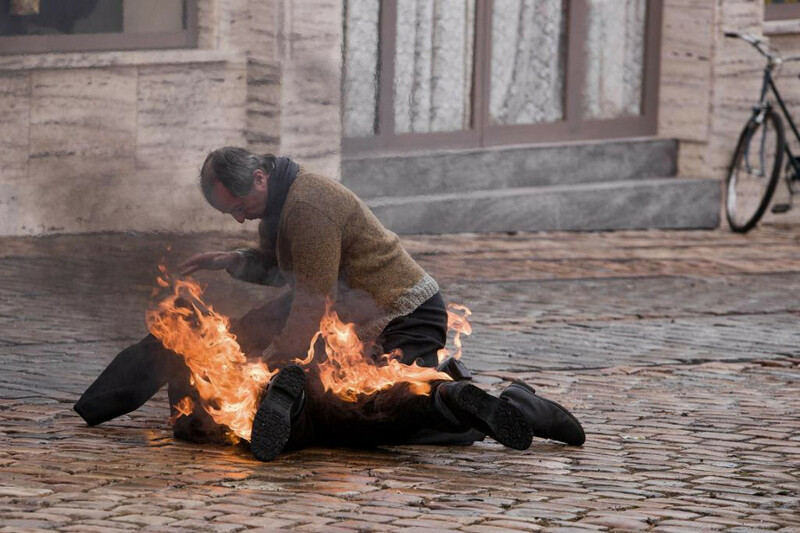 While images of the burning student only appear in the first shots, the miniseries concentrates on the consequences of his deed and the atmosphere of so-called normalisation in Czechoslovakia following the invasion by the USSR, Poland, East Germany, Hungary and Bulgaria. Agnieszka Holland was awarded Poland's prestigious Officer's Cross of the Order of Restitution for her outstanding contribution to Polish culture in 2001 and once again in 2011. In 2002, she received the Special Orzeł (Eagle) Award for her consistent artistic achievement in Poland and abroad. She was also honoured with a lifetime achievement award at the 1999 Film Festival in Las Vegas. She is currently based in New York and lectures as the Brooklyn College, CUNY. Agnieszka Holland also directed several documentaries, including Les cartes postales de Paris (1982) for television, Kultura (1985) about Polish expat circles in Paris and the magazine they wrote for, Czapski (1985) - a film on the painter and writer Józef Czapski, part of the Paris Kultura circles.